The story of Lady Godiva riding through town naked to relieve her people’s unfair taxation has long been a part of popular mythology. 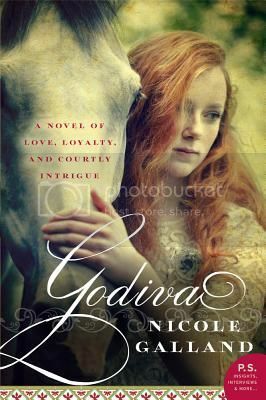 Nicole Galland re-imagines this history and brings Godiva brilliantly to life. Her Godiva is a feisty woman, someone who is motivated not onlywere by her pride, but by loyalty to the people she loves and a strong sense of right and wrong. I found Galland’s version of Godiva and her story to be very convincing. Both Godiva’s character and the plot itself are very well developed, so that the fact of her riding through town makes sense from both directions. As always, Galland paints a vivid historical picture and provides a compelling view of the past. 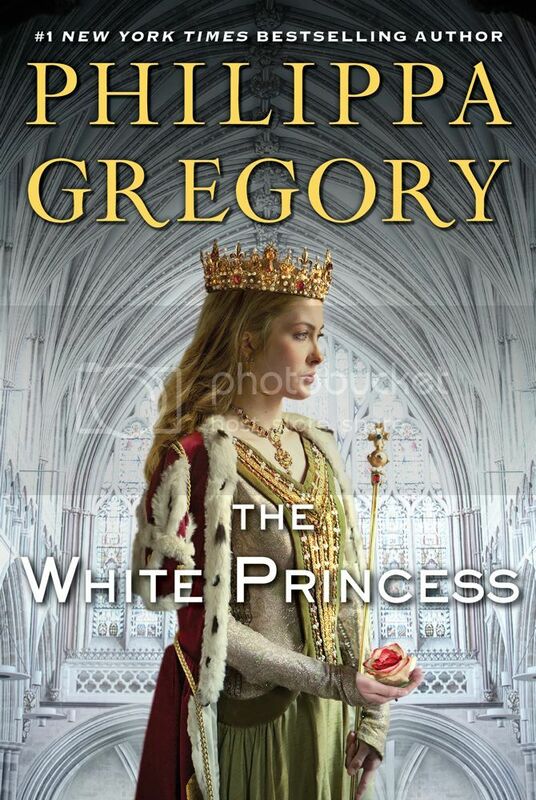 Note: I began this book in audio and initially really enjoyed Emma Jayne Appleyard’s narration, and particularly getting to hear pronunciation of pre-Norman British names. About 1/3 of the way through there was a period of a few minutes where I could hear some mouth noises. 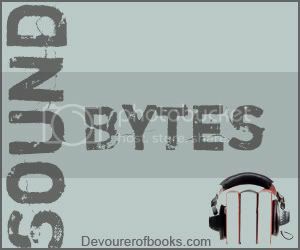 As I had already abandoned another audiobook that day for excessive mouth noises, I had no patience to continue and switched to the print copy I already had. If the noise abates relatively quickly I think the audio would actually be the better choice because of the way Appleyard brought Godiva to life and for the aforementioned pronunciations. By the end of the fifteenth century, the beauty and creativity of Italy is matched by its brutality and corruption, nowhere more than in Rome and inside the Church. When Cardinal Rodrigo Borgia buys his way into the papacy as Alexander VI, he is defined not just by his wealth or his passionate love for his illegitimate children, but by his blood: He is a Spanish Pope in a city run by Italians. If the Borgias are to triumph, this charismatic, consummate politician with a huge appetite for life, women, and power must use papacy and family – in particular, his eldest son, Cesare, and his daughter Lucrezia – in order to succeed. Cesare, with a dazzlingly cold intelligence and an even colder soul, is his greatest – though increasingly unstable – weapon. Later immortalized in Machiavelli’s The Prince, he provides the energy and the muscle. Lucrezia, beloved by both men, is the prime dynastic tool. Twelve years old when the novel opens, hers is a journey through three marriages, and from childish innocence to painful experience, from pawn to political player. 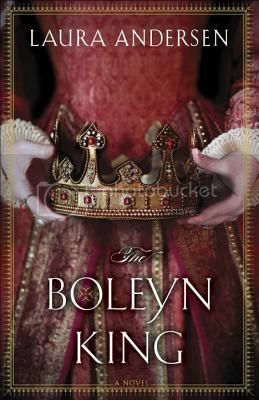 The Borgias rival the Tudors as one of the most dramatic families of the European Renaissance. Dunant approaches the family with a very literary and somewhat reserved bent. 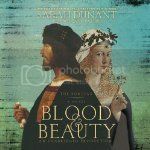 In the early pages of Blood and Beauty I worried that I would have a difficult time getting into the book because Dunant keeps the reader very distant from her characters. I need not have worried, though. Dunant tells the story of the Borgias beautifully and with such reality and tension that even knowing the history and where all of their lives were headed, I was completely rapt. Edoardo Ballerini. You guys. He’s fabulous. Like, he’s just really fabulous. I’ve got a serious audio crush on him now. Every part of his performance is masterful. Amazing. The book, the audio edition, all of it. Read it or, even better, listen. For more information, see the publisher’s page. In 1947, Frances Gerety needs just one more thing for the advertising campaign she’s working on. Just a signature line for the De Beers account. Hastily, in the middle of the night and desperate for sleep, Frances jots down a short phrase: A Diamond is Forever. Gerety’s story, that of a woman who is single by choice and helps create the “tradition” of the diamond engagement ring is set against the story of three different families with three very different relationships. 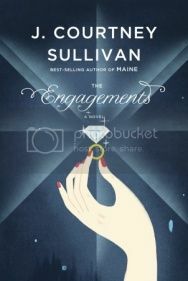 The Engagements is a beautifully written exploration of love, marriage, and the association diamonds now have with both of those things. All four sets of lives – Gerety and the three families – feel incredibly realistic, showcasing many of the difficulties of marriage, as well as the unique nature of any individual marriage. I loved The Engagements. Loved it! I started reading it at a time when I only had a few minutes to read it each day and that made it a little difficult to get into, what with the four rotating story lines. Once I cleared some time and sat down with The Engagements, I flew through it and didn’t want to put it down for anything. When you take time with it, the characters come alive, their stories and their joys and pains engulf you. The Engagements is absolutely wonderful. Very highly recommended.